Burlington Mural Tour: Art Appreciation — for Free! — in the Queen City | Features | Kids VT - small people, big ideas! 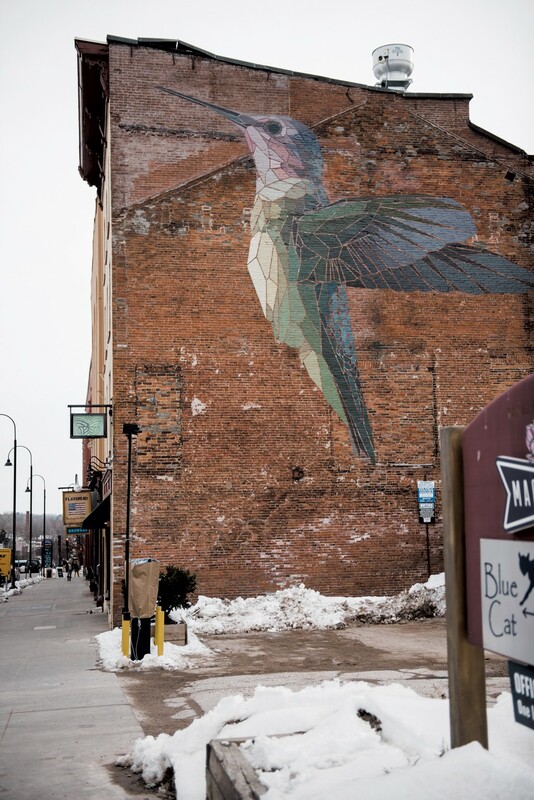 Burlington is a town full of art, artists and an abundance of murals. If you're like our family, you're always looking for fun, low-cost weekend activities. Why not pick a B-town neighborhood and explore some awesome street art on foot? 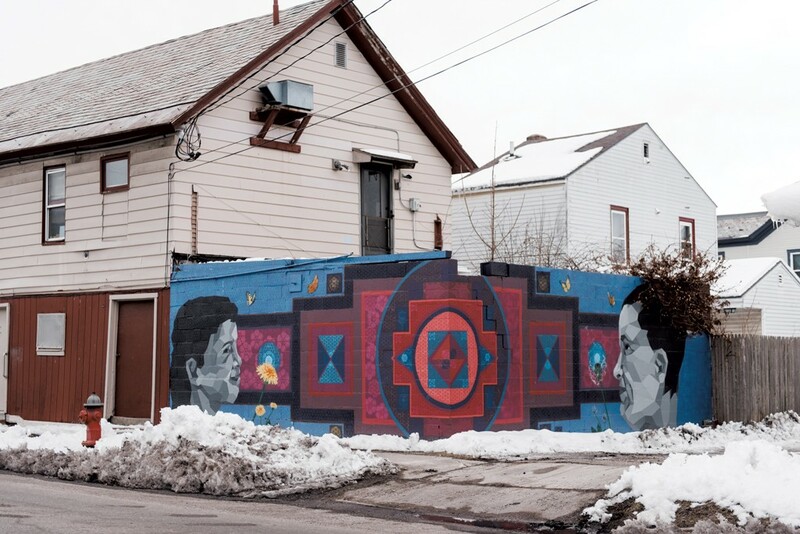 On a Saturday in March, we came up with an easily walkable route that started in our Old North End neighborhood and took us by a few lesser-known murals, then to some downtown favorites. And since food is an essential component of any successful family outing, the route features lots of possible snack stops for refreshments along the way. Start in the O.N.E., on the corner of Intervale Avenue and Archibald Street. The first three murals are part of a community collaboration between more than 50 neighborhood kids, many from the Integrated Arts Academy at H.O. Wheeler and the Boys & Girls Club of Burlington, and local artists Mary Lacy and Sloan Collins. They were made possible by the Burlington City Arts Community Fund, started in 2016, which provides thousands of dollars to Burlington-based artists each year. 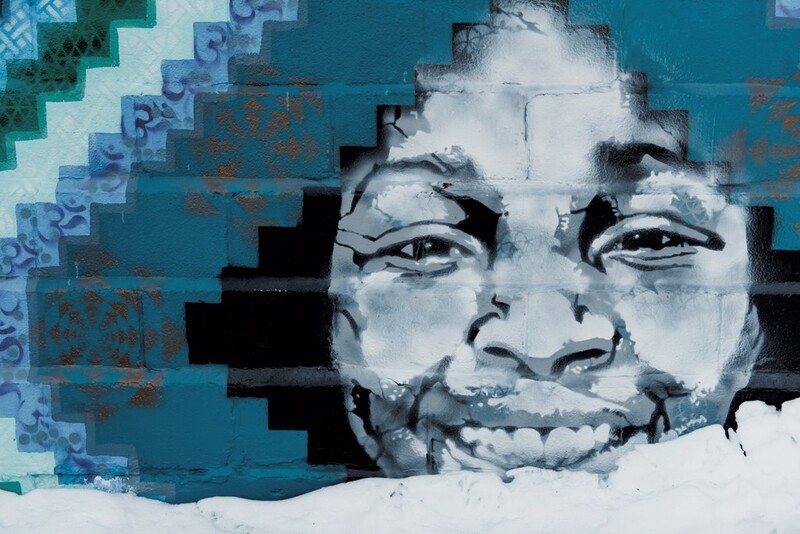 The Parking Lot Mural (corner of Intervale Avenue and Archibald Street) features black and white portraits of neighborhood kids. Walk south on Intervale Avenue, then west on North Street until you come to the Corner Mural (corner of North and Park streets). It wraps around the building and features geometric shapes and two more portraits. If you need fuel, Nunyuns Bakery & Café (139 N. Champlain St.) has you covered with tasty baked goods and light breakfast and lunch items. Head just another block west, toward the lake, and look to the left. You'll find the final Portrait Mural on the side of the old Ray's Seafood building (corner of North and Front streets). Head south on Front Street, cross through Battery Park and head down Battery Street, stopping to admire the great lake views. At the College Street intersection, Burlington Bay Market & Café serves coffee, snacks and delicious creemees when the weather gets warm! Head up College Street until you get to St. Paul Street. That's where you'll find the Hummingbird Mural , painted as a mosaic of geometric shapes in pinks, purples, greens and blues. It was commissioned by American Flatbread and painted by Mary Lacy, who uses a bucket truck with a 32-foot boom to do her work. 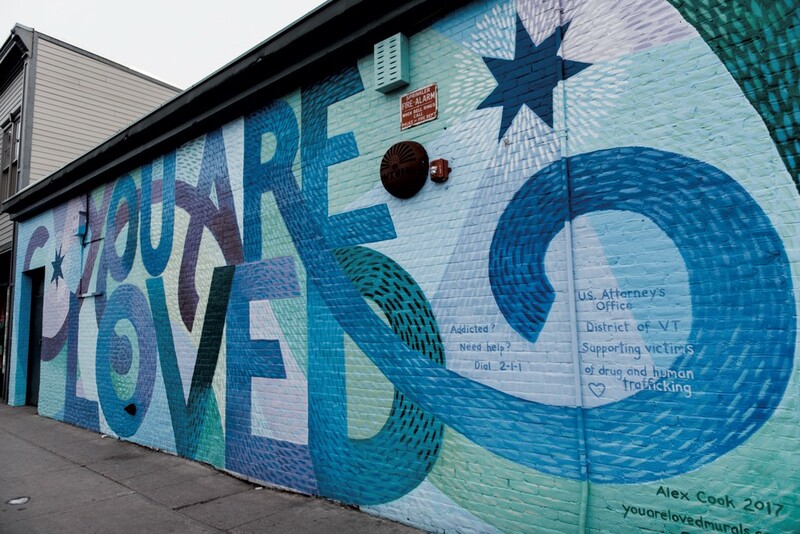 Next, head up Church Street and check out the You Are Loved Mural on Cherry Street, across from Ben & Jerry's. 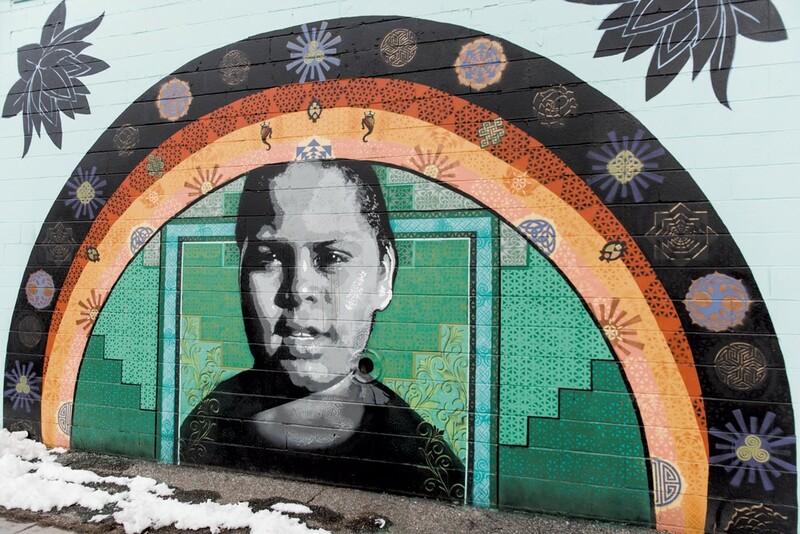 Commissioned by the Vermont U.S. Attorney's Office and painted by Boston artist Alex Cook, it's part of a nationwide series of 28 murals meant to raise awareness about human trafficking. There's no shortage of snack stop options on the Church Street Marketplace. We like Uncommon Grounds (42 Church St.) for hot chocolate when it's cold outside and fresh-squeezed lemonade when the sun is shining. Turn right at the top of Church Street and walk a block to North Winooski Avenue. 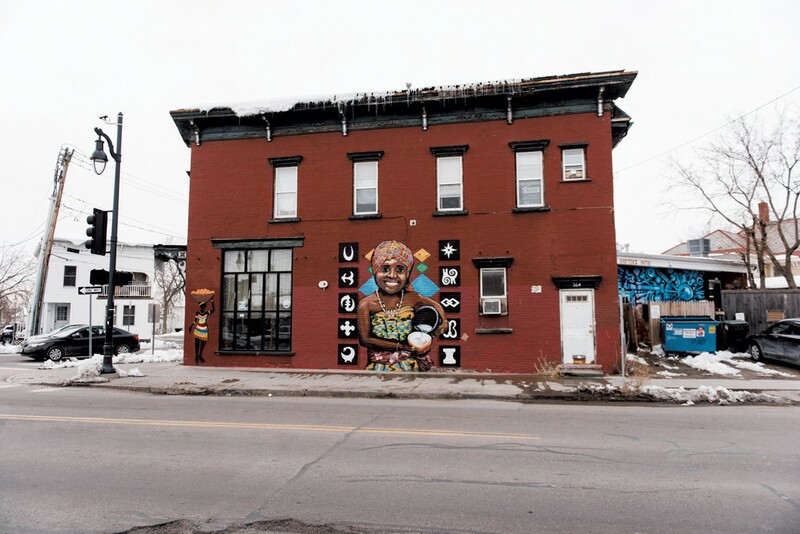 Head north on North Winooski for three blocks, until you come to the Muhammad Ali and traditional Akwaaba Murals & on the sides of Mawuhi African Market (160 N. Winooski Ave.). 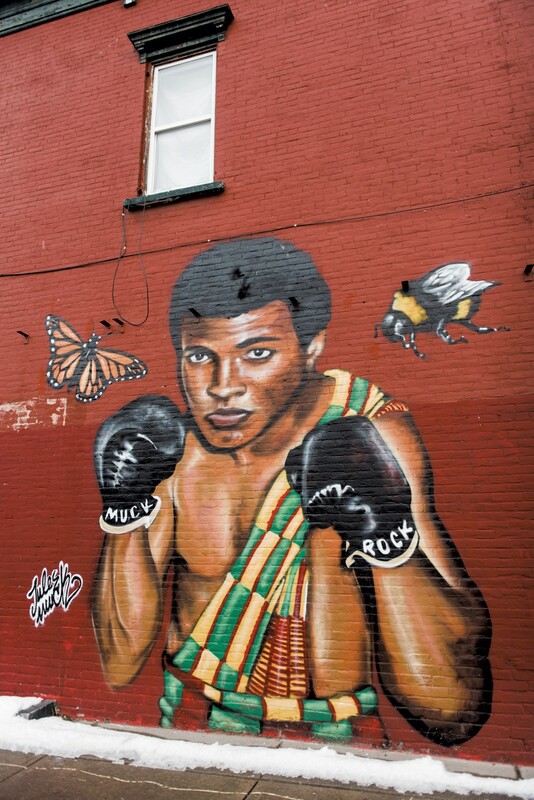 When asked by the building's owners to paint the side of the building, Venice, Calif., artist Jules Muck chose Ali as a subject because he'd recently passed away. She didn't know that shop owner Patience Bannerman's son had met Ali as a young boy on a flight from Tennessee to New York. The Akwaaba mural features an African woman in traditional dress framed by West African symbols of welcome ("Akwaaba" means "welcome" in Ghana). It was painted by members of the Burlington-based Anthill Collective, a group of local artists based on Pine Street, who work mostly in spray paint and are affiliated with a worldwide mural initiative called Beautify Earth. Continue north on North Winooski Avenue until you come to Decatur Street. If you've saved your appetite for the end of the tour, stop at Barrio Bakery (197 N. Winooski Ave.) for a latte and muffin before heading down Decatur Street. Turn right onto Intervale Avenue and you've completed your loop! Interested in checking out more Burlington murals? Find Anthill Collective's Google Maps tour of their work at anthillcollective.com. For more art in public places, visit burlingtoncityarts.org/art-public-places.